We have a wide range of solid metal curtain poles in 16mm, 20mm and 25mm diameter with finials, rings, brackets and tiebacks to suit. 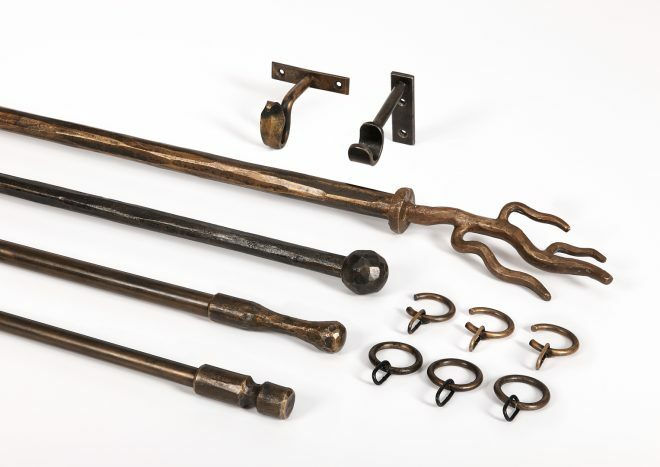 Our Metal Collection items are waxed or painted and the finishes available are Black Iron, Metallic Black, Burnished steel, Antiqued Brass and Hammered Brass. Bay poles are also available in all the finishes and diameters. Larger diameter poles, special finials, and brackets are also available.